Brittan Heller was patient zero. As Jane Doe in one of the first anti-cyber harassment lawsuits, she has been helping the tech industry confront hate for over a decade. Come hear her describe the mechanics of online targeting — and what VR content creators and designers can learn from this to create inclusive virtual environments. 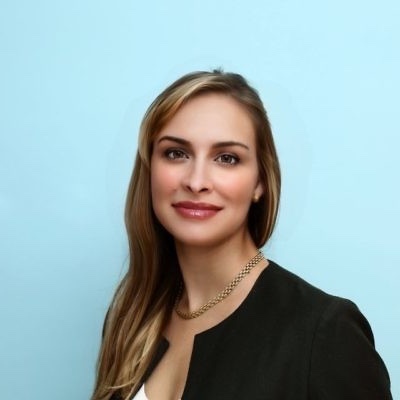 Brittan Heller heads ADL’s Center for Technology and Society, based in Silicon Valley, to bring civil rights into the digital age. Brittan formerly served in the Department of Justice, Human Rights and Special Prosecutions section, where she specialized in the intersection of human rights and technology. Before government service, Brittan practiced international human rights law overseas, where she built a law school in Kabul, Afghanistan, assisted North Korean refugees throughout Asia, and prosecuted the first cases at the International Criminal Court. During law school, Brittan spearheaded groundbreaking impact litigation to combat cyber-harassment and advocated for cyber civil rights. She is a graduate of Stanford University and Yale Law School. Can VR Make Us Less Racist?